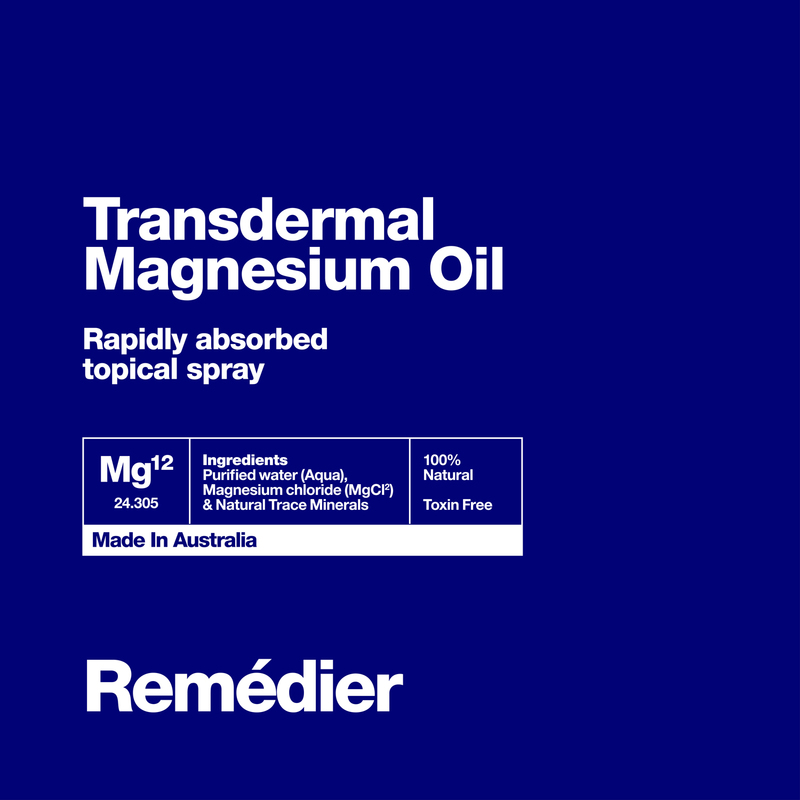 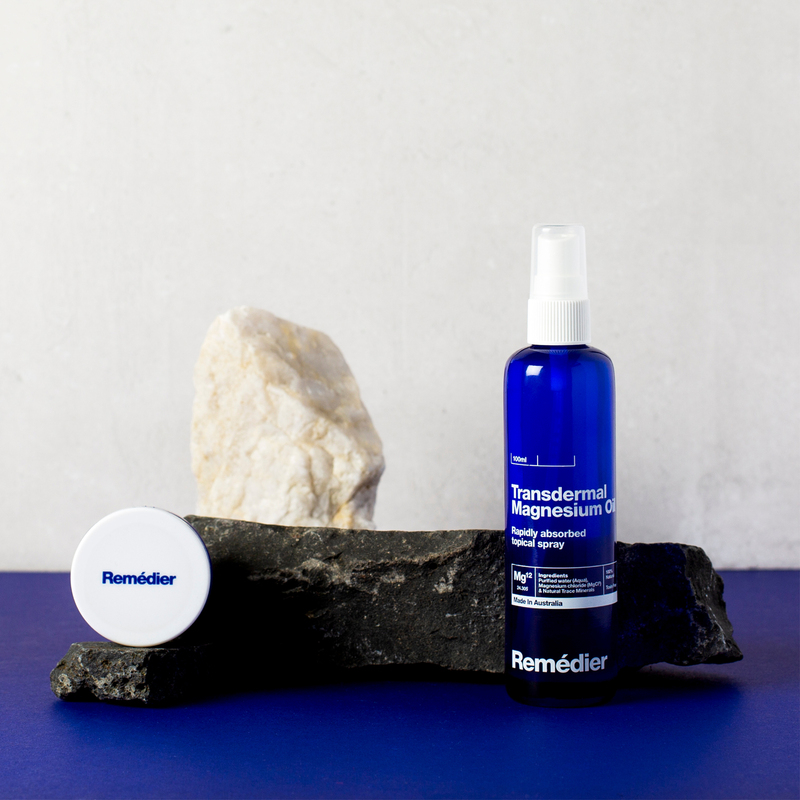 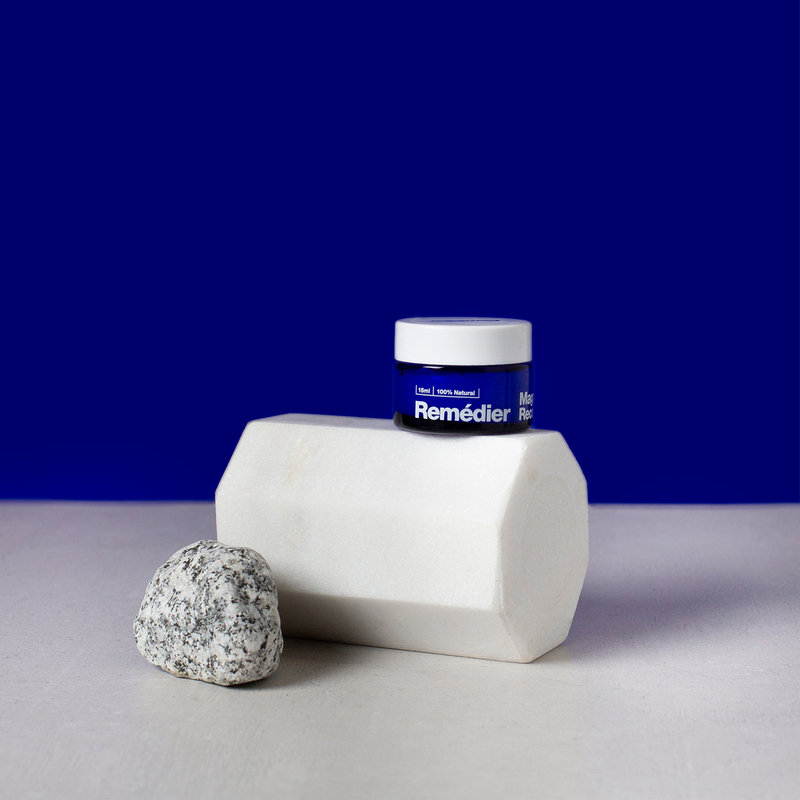 Remédier Magnesium Oil is a natural concentrated, aqueous solution containing high levels of Magnesium and many trace minerals. 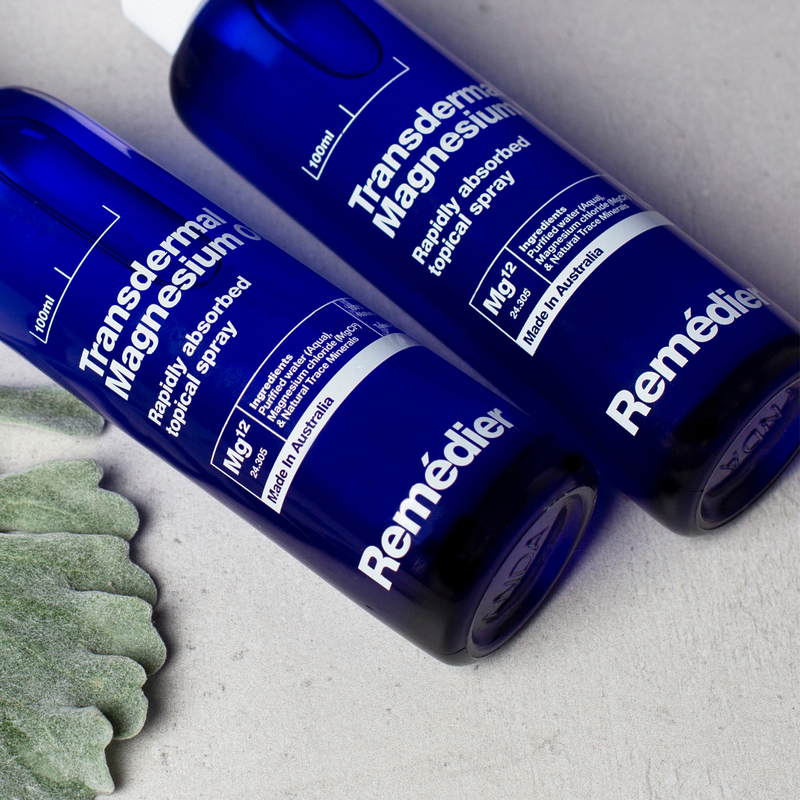 When applied to the skin, Magnesium oil is absorbed rapidly, quickly boosting Magnesium levels in the body. 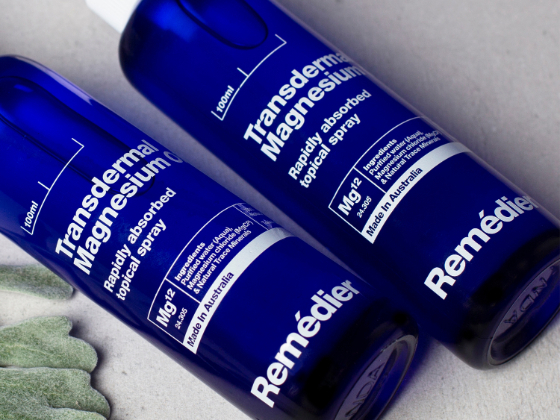 This effect not only restores healthy levels of magnesium to muscles but also provides the body with many associated benefits. 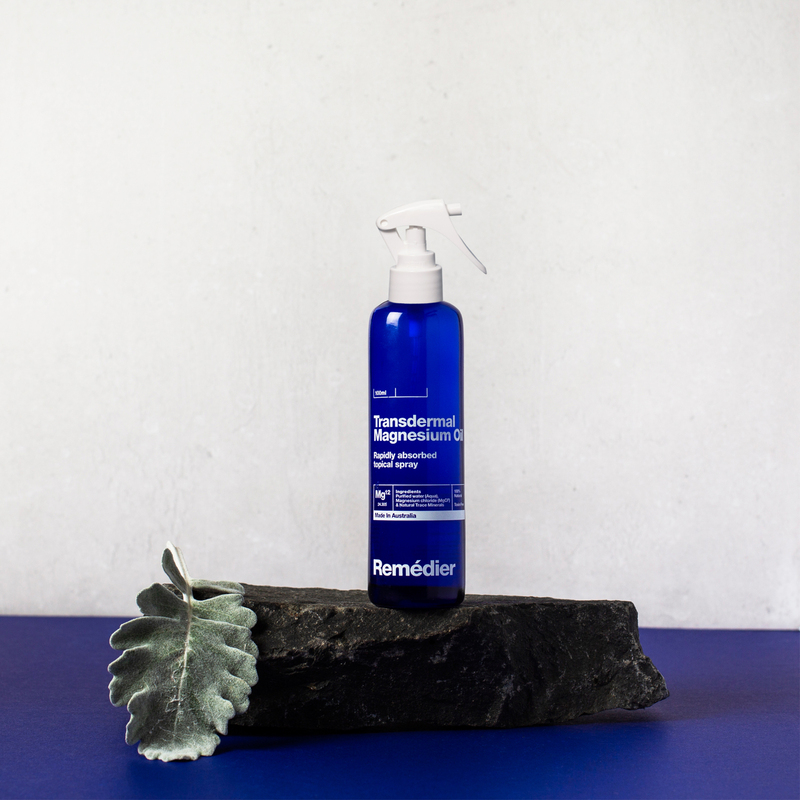 We chose to use glass unlike other brands who mainly used clear or brown. 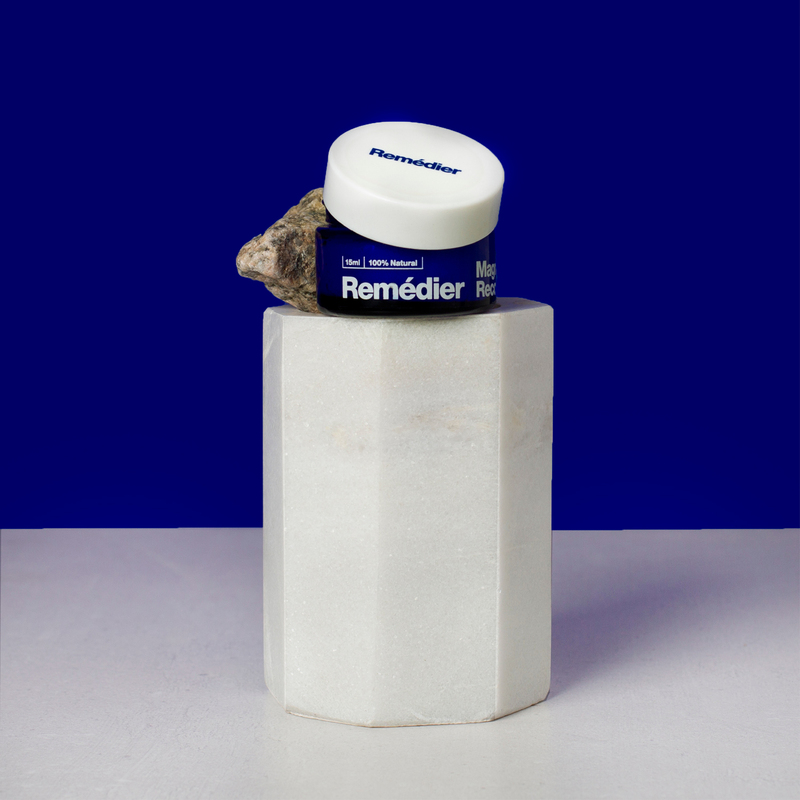 We think it work well with the branding and will stand out among your other bedside beauty product regime.